AKIPRESS.COM - Mongolia's harsh winter has killed more than 700,000 head of livestock this year, the highest toll since 2011, Reuters reported citing the country’s statistics bureau. Mongolia is in the midst of a winter phenomenon called a dzud, when extremely low temperatures and snow make it difficult for animals to survive. The 709,000 head of livestock lost in the first two months of the year is a toll five times higher than the same period last year, according to the National Statistics Office. 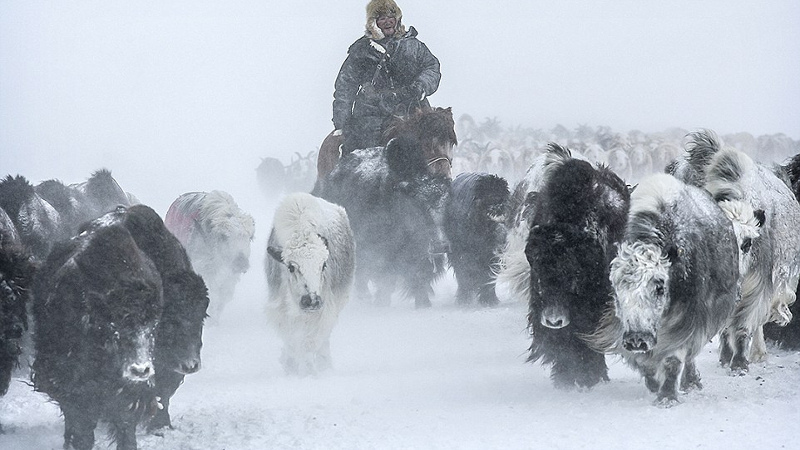 Mongolia’s winters have destroyed the livelihoods of thousands of herders, forcing them to move to the capital, Ulaanbaatar, in search of work. Burjaa moved to the capital three years ago because of the dzud. In total, 66 counties across 12 provinces are facing dzud conditions, with snowfall covering half the country, the National Emergency Management Agency said last week. The government has not declared a natural disaster. According to the Mongolian Red Cross Society, thousands of families were unable to prepare feed to sustain their animals through the winter. The society has spent 1.2 billion tugrik ($500,000) to help 4,500 herder families. “Mongolian herders did not purchase enough fodder, so the spring season might kill animals that are tired from the harsh winter,” said Bayarmaa Chimedtseren, a rangeland monitoring and evaluation specialist at the “Green Gold” animal health project run by the Swiss Agency for Development and Cooperation. About 229,000 Mongolian families depend on animal husbandry for their livelihood. The total number of livestock reached 66.2 million as of December 2017. Overgrazing, the degeneration of rangeland and poor land management contribute to the severity of the dzud, Chimedtseren said.